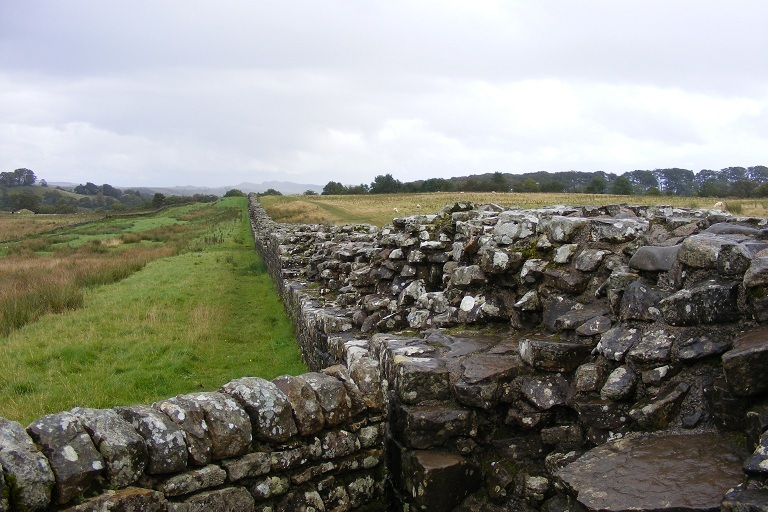 The intention for today was to walk from Walltown Quarry to Oldwall, a hamlet just east of Carlisle, not far from Lanercost Priory, about 12 miles. This was achieved. 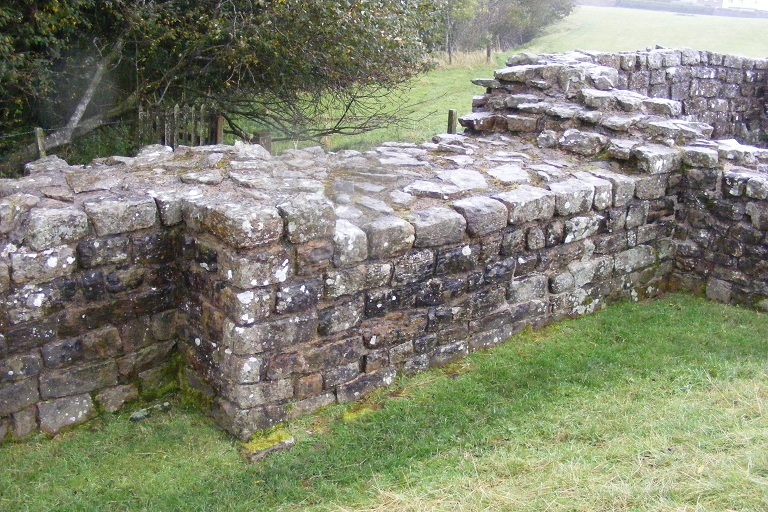 The route passed within 100 yards of our base in Gilsland and included some very well preserved sections of Wall, Birdoswald Fort, and the Roman bridge over the River Irthing (now high and dry in a field as the river course has changed over the centuries). 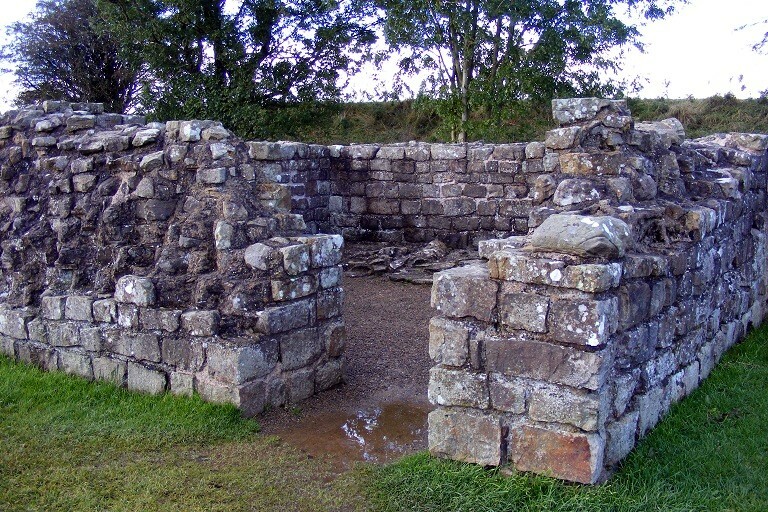 Poltross Burn Milecastle (48) stands on the steep bank of the burn. 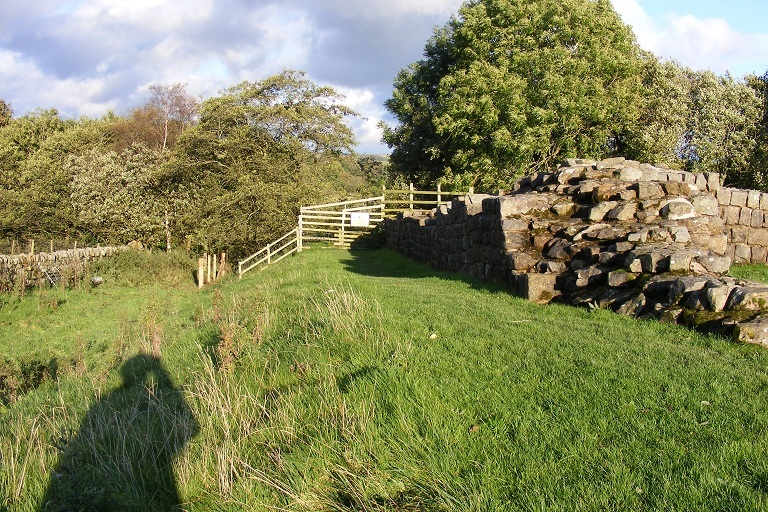 The Wall continues on under the railway and can be seen crossing some low lying fields towards the road through Gilsland village. 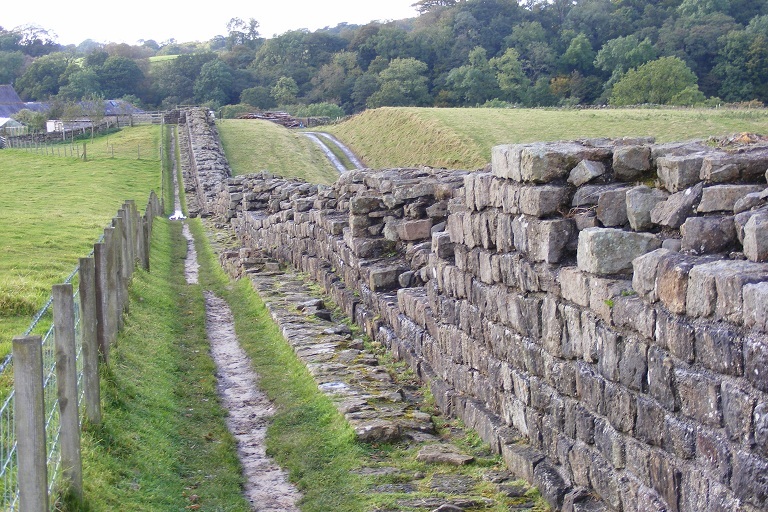 There is a good stretch of narrow Wall on broad foundations after the road. 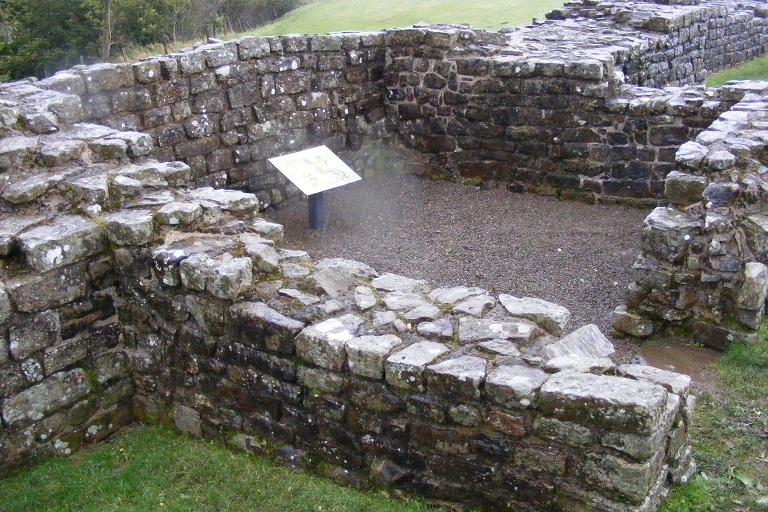 Turret 48A also exhibits the change of width, which supposes the foundations and turrets were built earlier than the curtain wall. 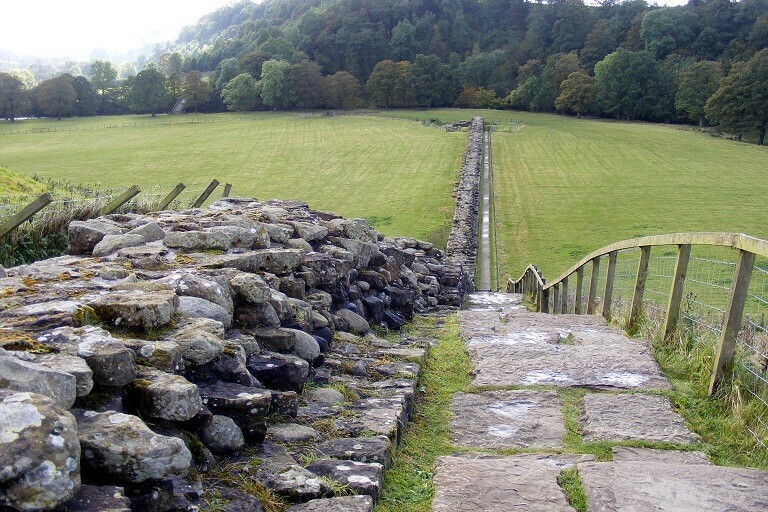 The Wall continues, curving to follow or avoid the River Irthing. In one place the river has changed course and eaten away the bank with the resultant loss of about 50 metres of Wall. 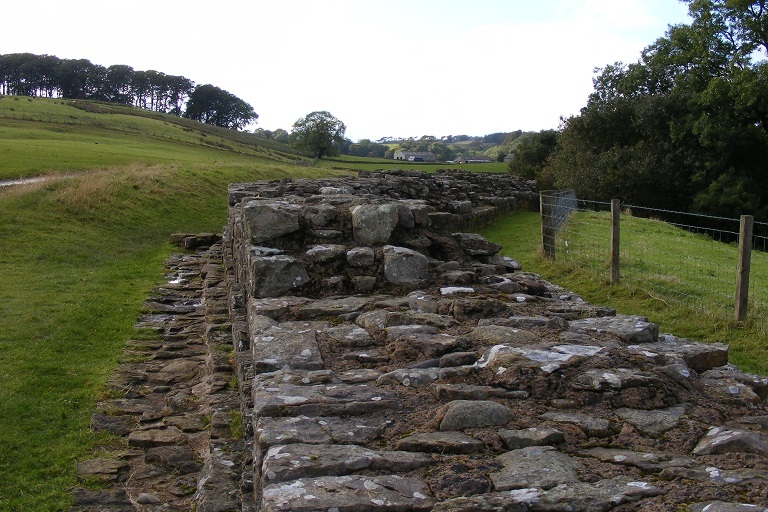 We eventually reach the Roman bridge. 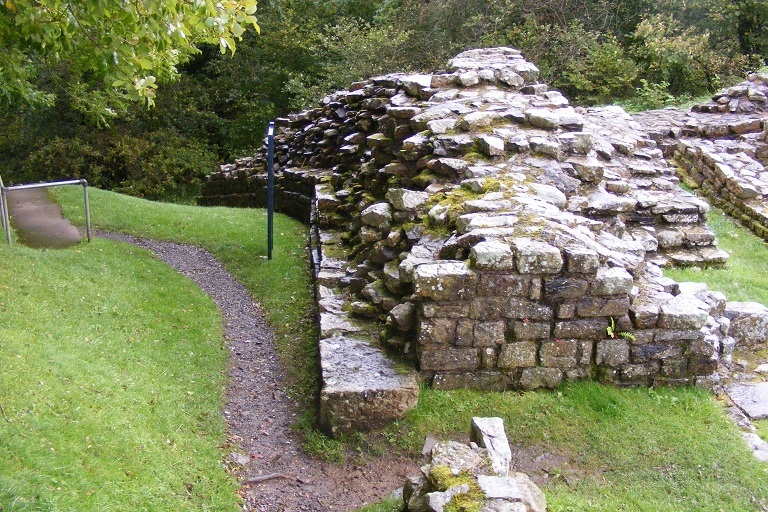 The remains of Milecastle 49 stand atop the high bank of the River Irthing and the Wall continues on towards Birdoswald Fort. 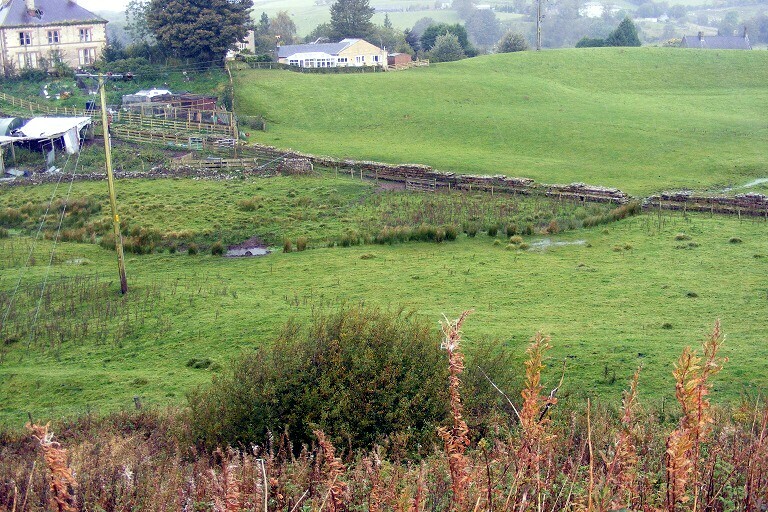 The Wall Ditch can be seen to the right of the Wall. 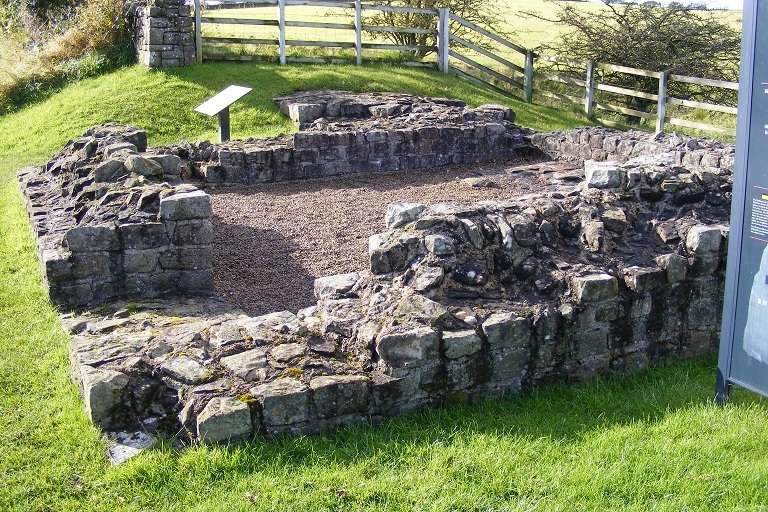 One of the buildings in the fort, the east gate, the Wall continuing west. 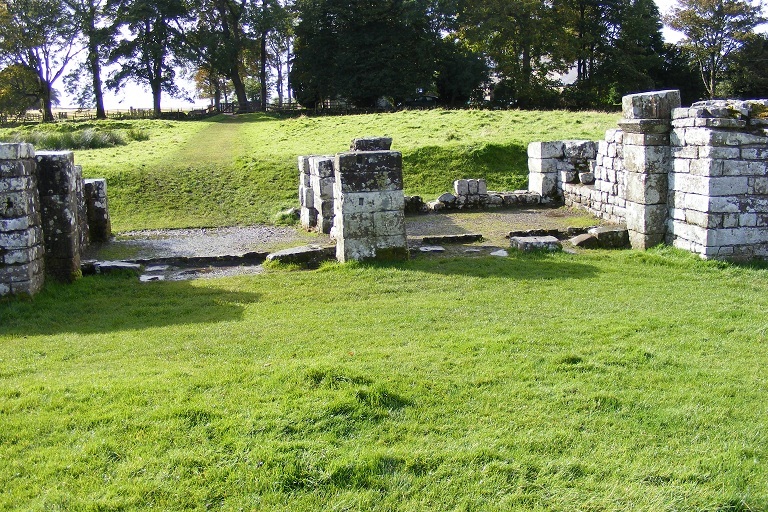 The remains of Birdoswald Fort have been partially excavated and partially built over. 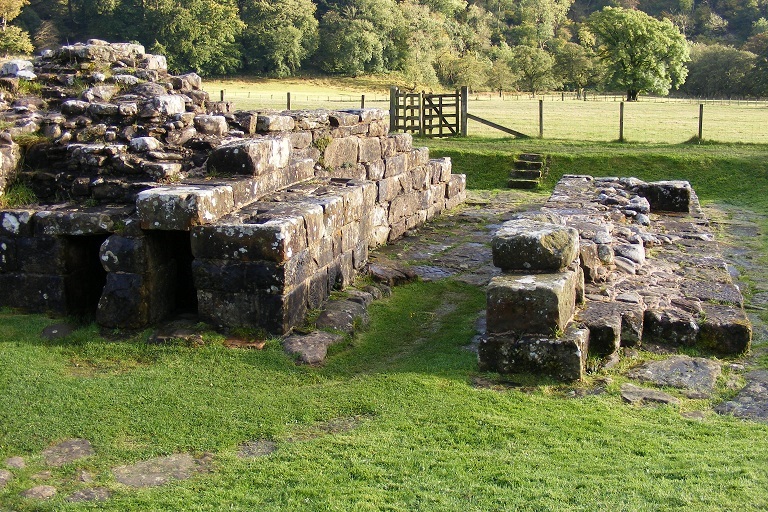 The three gates - East West and South can be seen but the north gate has been obliterated by later buildings. 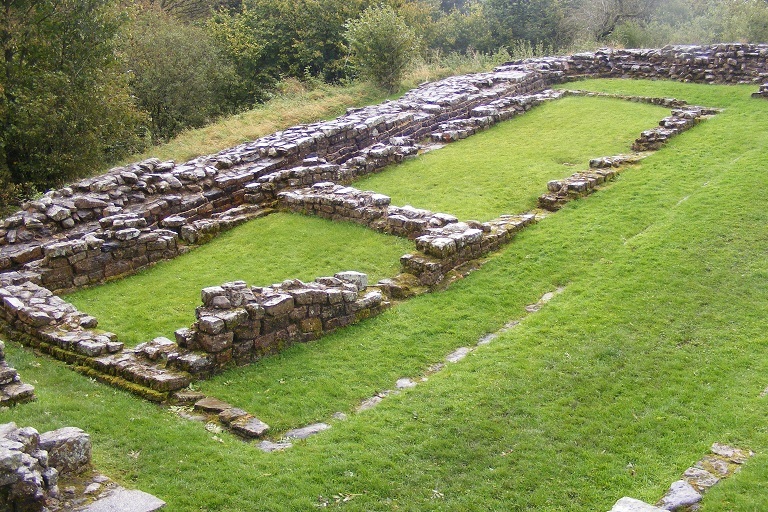 The fort was built entirely behind the Wall. 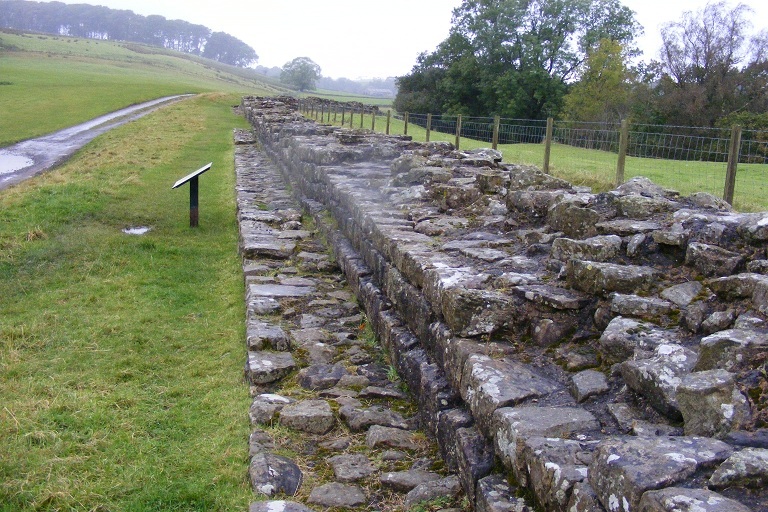 The third photograph shows a good stretch of Wall continuing west after the fort. 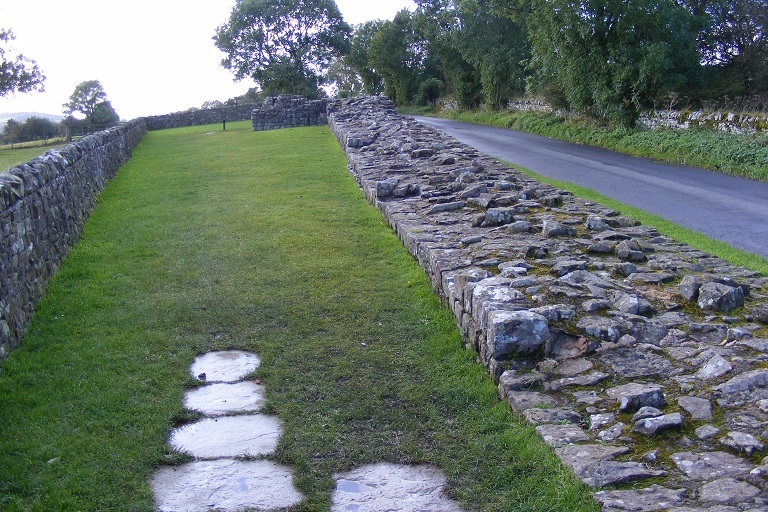 Turrets and Wall remains along Military road west of Birdoswald,(most of the Wall is buried under the road). 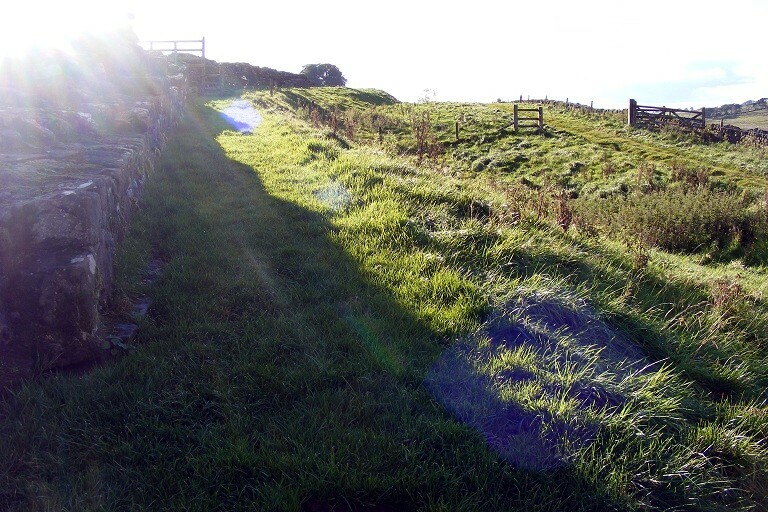 Occasionally the remains or line of the turf wall can be seen in the fields south of the road along with the Vallum. 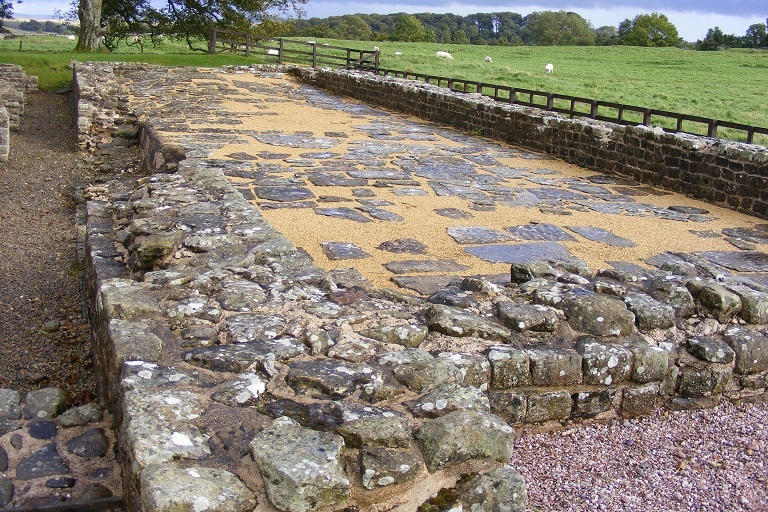 At Walton the road departs from the course of the Wall.